During May 2015, Elizabeth Fortunate started her personal agricultural projects at her in-laws at Kyanyina- Mazooba village of Mubende District, she witnessed a two years old child who was wrinkled like an old lady, very weak and miserable, she could not make any social interaction with other children neither make any movement, but she could only cry almost the whole day. Elizabeth tried to talk to the caregivers (the father and step mother) on how to improve the child’s health and social conditions, but her effort could not help the poor girl rather to worsen the situation. In her intervention, Elizabeth requested to stay with the girl for some time. While together, she found out that the poor child was intentionally neglected and has been starving of hunger which subsidized her immunity, growth and social development. She further realized that ignorance, poverty, domestic violence, Family separation, child abuse, child neglect, child labor, single parenthood had not only affected the girl from her neighborhood, but many other children in this community were silently victimized. 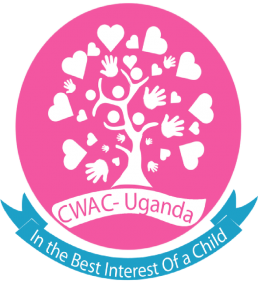 Consequently, Elizabeth was obligated to engage the community in comprehending and participate in child wel being practices through an officially coordinated system.